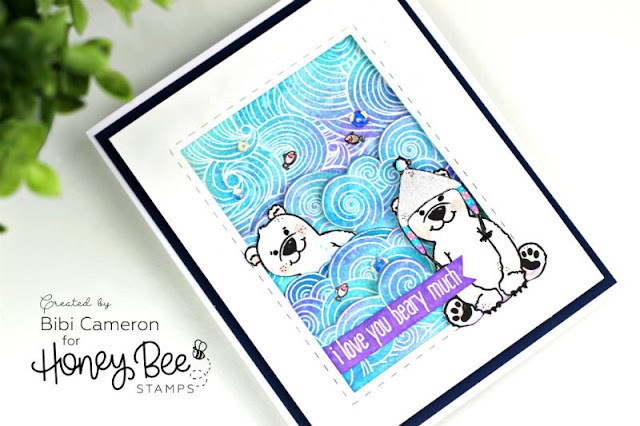 Hello everyone, this year I'll be sharing Honey Bee Stamps card ideas every Monday and today I'm sharing a card using Flakey Friends Stamp Set and Ocean Borders stamps set. I adore Polar bears!!! we have a couple in the Highland Wildlife Park here in the north of Scotland, and they just had a baby bear!!! it is the first time a polar bear cub has been born in the UK for 25 years. When we visited the park last summer I thought they were brothers but hey! love was in the air. Check out a video I shared on my "personal facebook videos" with the couple. They were swimming and they were the inspiration for my card today! Knowing that polar bears are an endangered species, can you imagine how precious their baby bear is? I hope the baby grow healthy so we can surprise ourselves next summer when visiting the park. We all are looking forward to hearing the good news of his/her survival. Read more about this Scottish polar bear family here! 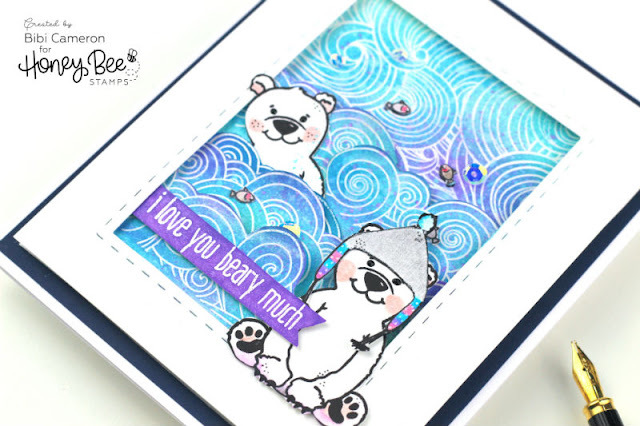 Ok so to make this card, I applied an embossing resist technique to stamp the background. 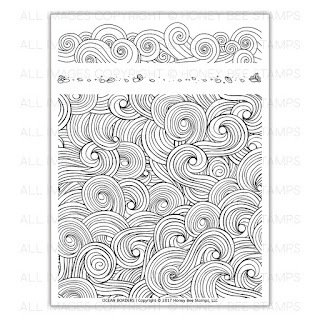 I stamped the images from Ocean Borders stamp set on white cardstock using clear Versamark ink. I applied Nuvo Clear Detail Embossing Powder and I heat embossed the images. Then, using a blending tool I applied Broken China Distress Oxide ink and a hint of Wilted Violet Distress Oxide Ink. I also use Faded Jeans, Peacock Feather and Broken China Distress inks ( I mean I Mixed Distress Oxide inks with traditional Distress inks). I splattered water, a bit of Wilted Violet Distress Oxide ink, a bit of Broken China Distress ink and I was done. 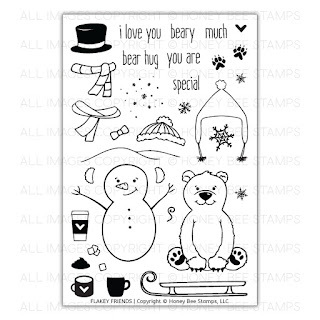 Check out the awesome stamps I used today! 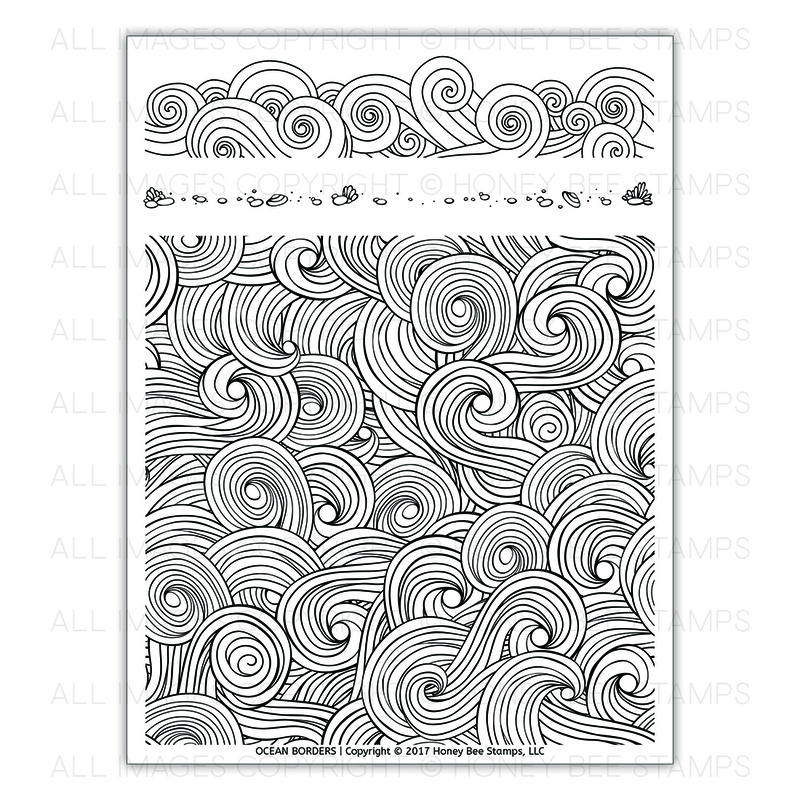 I trimmed the smaller ocean border image using scissors , I layered them and glue them down using double-sided adhesive foam to add interest to the background and create the waves. 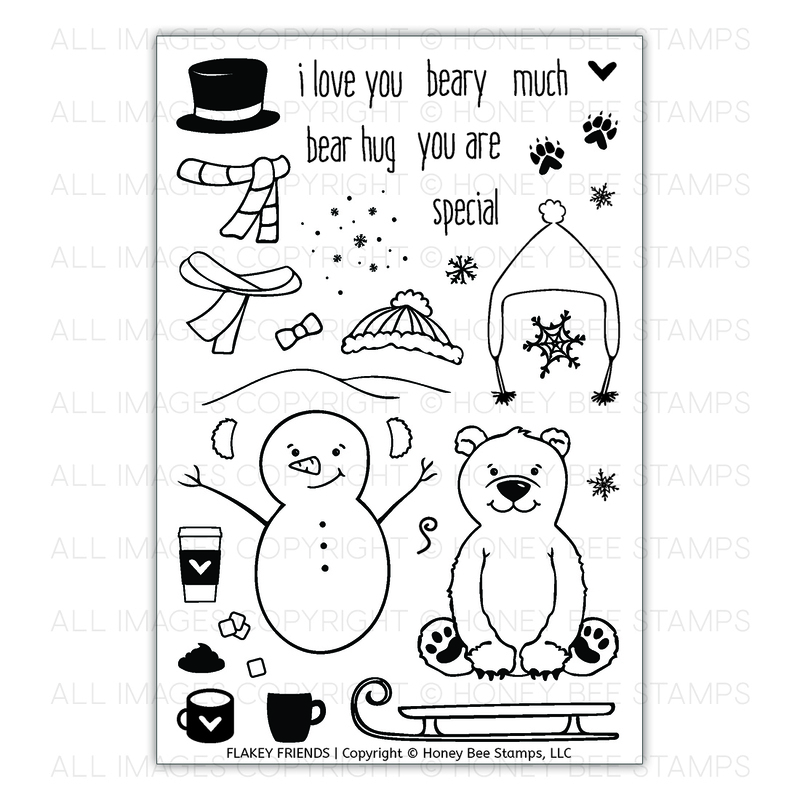 Flakey Friends is a Christmas themed stamp set but you can use any of the elements to create cards for many different occasions. 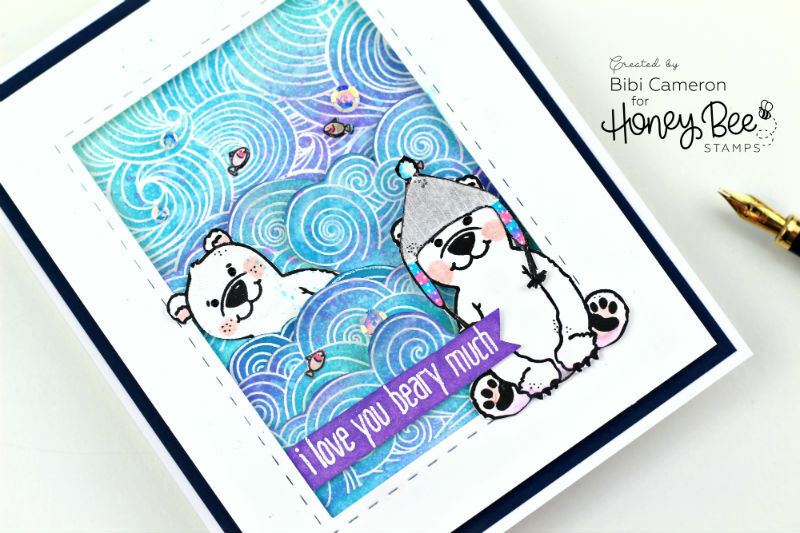 I barely added colours to the bears and as I wanted them to be white, I used Neenah Solar white cardstock by Crafter's Companions. I only applied pink ink on the bear chicks using a Zig water-based marker. Note: waterbased markers are not the best friends of this kind of cardstock but you can still make them work if you need too. For the banner, I used Wilted Violet Distress Oxide ink on Bristol paper and I stamped the sentiment with Versafine Clear ink and Nuvo White Fine Detail Embossing Powder. This card measure 5" x 51/2". That's all for today! I hope you like to supplies, the projects, the video and the tips.